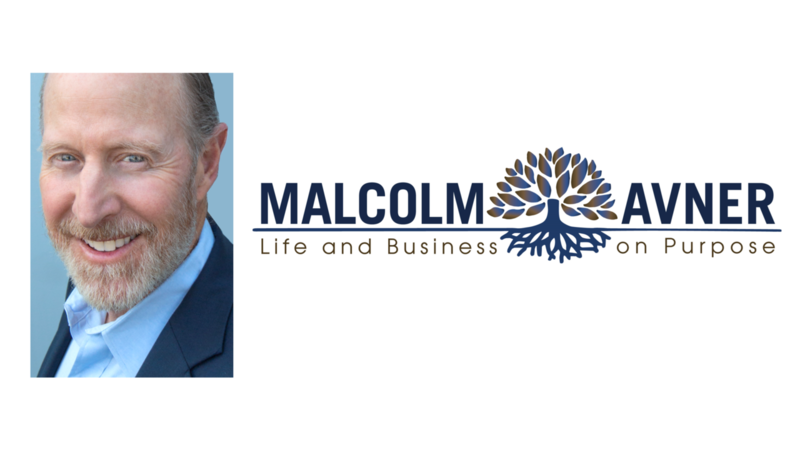 These days, Malcolm is most passionate about helping key leaders who seek to acquire the skills, systems and relatability necessary to perform to their potential. Indications of the coaching need include a leader who is frustrated with lack of progress, overseeing an organization in conflict, cliquishness, or general underperformance. Malcolm’s mission is to develop more conscious leaders who create a more purposeful, rewarding experience for all stakeholders. One-to-One Coaching: Programs are customized to help the coachee perform to their potential and achieve their goals and deepest desires. These transformative engagements are conducted online or in person. Management Team Coaching – A Foundation for Unity: This group program is designed to improve team performance by addressing the nature of conflict and resentments, laying a foundation for sustainable, trust-based relationships. Based on the teachings of The Four Agreements, by Miguel Ruiz, participants learn to interact with integrity, trustworthiness and self-accountability. Programs are conducted via live, interactive video conference. Management Team Coaching for High-potential Leaders: A combination of 1-to-1 and group sessions, this hybrid coaching model is designed to prepare the next generation of senior leaders for success. Geared towards those with unmistakable talent but unmet potential and a need to increase emotional intelligence, this fast-track program instills the emotional maturity and self-awareness needed to succeed in a senior leadership position. This program is administered via phone and video conference, so group members may be geographically dispersed. Retreats and Coaching Intensives for Individuals and Leadership Teams: Several programs address various situations, including a chronic issue; organizational emergency; strategic planning; alignment of values, vision and mission; or “vision quest” (finding direction through an immersive connection to nature). Location and duration vary, and retreats are customized to the client need. Email for more information [email protected]. Issue: Underperforming department that provides internal and external tech support. Personal reputation for unreliability. Conflict with a difficult peer on the management team. Issue: Overwhelmed with workload. Understaffed and delegating inadequately. Frustrated and burned out. Neglectful of family and of personal health. Issue: The partners experience a mutually aggravating pattern of communication that make cooperation and mutual respect elusive. Work is unfulfilling. Company culture is splintered. Result: As a result of a methodical process of self-discovery, the coachee now understands his contribution to the friction in the relationship, and has specific techniques to change his thoughts, words and behaviors in the moment; thus, largely defusing resentment before conflict arises. Established boundaries that allow the coachee to perform the work that is most rewarding, personally and for the company. "Malcolm’s coaching and mentorship have provided me with a valuable advantage in leadership and communication. He has brought much more to the table than being a Consultant or Executive Coach. I greatly value his integrity, professionalism, and reliability. I consider him a strategic partner and trusted friend. His philosophy and teachings have inspired me with a new perspective on self-awareness, leadership, and effective communication techniques. Malcolm has also integrated highly effective tools and exercises that I use to hold myself and others accountable, starting with speaking impeccably and maintaining integrity. He has been very helpful in providing his perspective and advice when I have been faced with complicated and challenging management issues. The success of our work together is clearly evident in my change in leadership and communication, as well as a much-improved culture within my organization. I highly recommend Malcolm Avner as a Leadership Coach." "Working with you has been one of the hardest but most beneficial things that I have ever done, and I am better for it. I never hesitate to share my growth story and newfound principles for work and life. I have come a long way and the people that I care most about are the beneficiaries." Early in my careers – both as a professional athlete and a business builder – my focus was guided by conventional wisdom on how to achieve success: play by the rules and outwork the competition. I followed that wisdom and I became, by most measures, successful. But something was missing. I felt unfulfilled, despite my achievements. I eventually learned that while hard work and playing within the “rules” can generate success, success is hollow because the guidance is incomplete. A bit like wearing shoelaces as a bathing suit – it just doesn’t cover enough of what really matters. Having fun at work isn’t a diversion of energy; it’s a source of energy…and creativity… and motivation! Integrating these guiding principles into my life changed everything. I found fulfillment, spiritual connection, and career direction. My outlook on life was so profoundly changed that I knew I had to help others find their path as well. I found my calling, as they say. Today, I coach business leaders who, in many cases, have slogged the same winding path of dissatisfaction that I did. These leaders are people who have demonstrated talent and the ability to create value for their organizations – yet seem to continually attract conflict, disarray and discontent. I feel their pain, because I have been there and done that. There is an unbearably high cost to avoiding one’s true calling. And that calling doesn’t necessarily mean a new job. A calling can be woven into the fabric of daily life – if one is open, honest and ready for change.